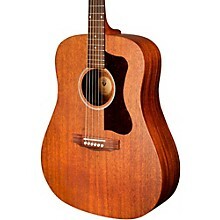 The D-20, formerly known as the D-25, is a dreadnought acoustic guitar built with solid mahogany top, back, and sides. 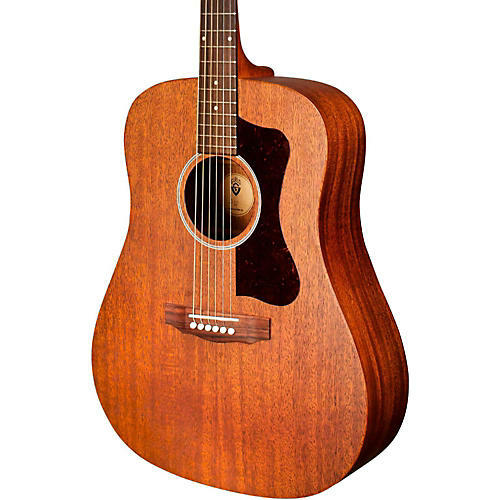 First introduced to the Guild line in 1968, this model features a rosewood bridge and fingerboard, bone nut and saddle, and an extremely light satin finish that allows this guitar to truly sing. The D-20’s modest appointments include a vintage style rosette and Guild’s peak logo inlaid in mother-of-pearl on the headstock. 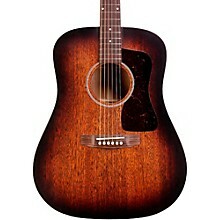 Each D-20 comes with a hand-signed, numbered certificate of authenticity, and ships with a hardshell case. Includes hardshell case.